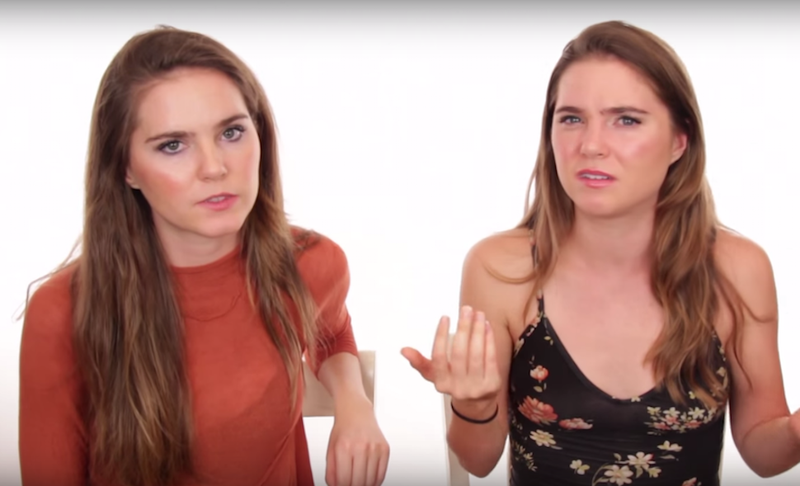 When reformed Instagram “influencer” Essena O’Neill tearfully turned her back on social media this week for being “fake,” her *former* friends, YouTube celebrities Nina and Randa, put up their own video to prove that actually Essena is fake, hello! Teens, am I right? Wrong: guess how old Nina and Randa are? Nina and Randa strongly resemble 15-year-olds in every single way, from their choice in eyeshadow to their Twitter bio to their musical stylings to their topical coverage (“Body Image Problems - OUR WEIGHT:(”, “TRY NOT TO LAUGH CHALLENGE”). Their biggest coup thus far has been this latest Essena-bashing video, in which they deliver a thousand tiny metaphorical pinches to Essena’s claim that branding herself for mass consumption was unhealthy and damaging, and that social media stars display their lives from misleading angles. Nina and Randa, who are very happy with their chosen profession, thank you, glare at the camera with such practiced nonchalance, such good-humored pity, that I found myself a little bit traumatized, temporarily transported back to that day at camp when no one would share my canoe. Nina and Randa’s brother Willie also posted a video to really nail down Essena’s fakeness, following in his sisters’ methodical, journalistic public shaming footsteps and sharing a Snapchat as proof that Essena stayed with them (“we actually shared a bathroom”). Willie is somewhat difficult to Google (last name: Nelson), but I ultimately discovered that he is between 18 and 19 years of age. While two out of four of these long-winded cannibals are, in fact, still teens, all are legal adults, able to buy cigarettes and pornographic magazines, drive, enlist in the military, officiate a wedding, and, of course, vote. This teen war is not what I expected it to be. Has any single piece of information ever been more shocking?